This 40 hour Missouri POST certified course teaches basic Marksman/Observer (Sniper) skills. This course is designed to teach new snipers to deploy with the basic knowledge to perform the duties of a police sniper. A wide range of shooting drills will be introduced that can be taken back to an officer’s department and utilize or alter to suit the specific needs of the operational area. The first day will be all classroom followed by three full days of shooting drills. The drills range in distance from 15 yards to 300 yards. 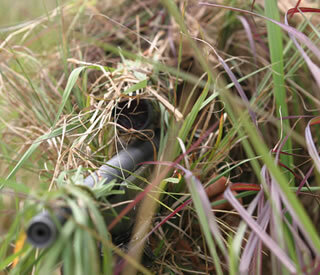 The vast majority of the drills are derived from actual police sniper engagements across the country. This course is specifically geared to a new shooter with little or no experience behind a scoped precision weapon but has potential to test the shooting limits of veteran marksmen. The student should be able to load, unload and reload their firearm in a SAFE and CONTROLLED manner while keeping safe control of the weapon’s muzzle. A basic knowledge of scoped weapons systems is preferred but not needed. Also students should have knowledge and understanding of SWAT Tactics. The student must possess the physical strength and stamina to repetitively manipulate and fire their weapon during prolonged drilling, in all weather conditions. The student must be able to get up and down from standing, kneeling, and prone positions, as well as move forward, backward, and laterally. A student’s level of physical fitness can be a direct reflection to how much or little they learn. Students attending this course need not be proficient with their weapon system before attending. Our instructor staff will make all reasonable efforts to provide individual assistance to students who are in need of extra coaching. By the end of this course each officers should be comfortable enough to engage a threat with precision fire and have a good basis of shooting drills to draw from. The class will progress rapidly and ability to quickly learn new skills is imperative. Students need to keep an open mind and be willing to look at and analyze new techniques, tactics and procedures. We believe in giving the student numerous techniques and tools for the student to have at his/her disposal, in order that they may apply them to their particular needs. Students MUST score 100% on the final qualification course. Students who do not pass the initial final qualification with their weapon system will be given one additional chance to shoot the course. Students who do not score 100% on the second chance shoot will NOT be given credit for the course and NO refund will be given to the student or their agency.